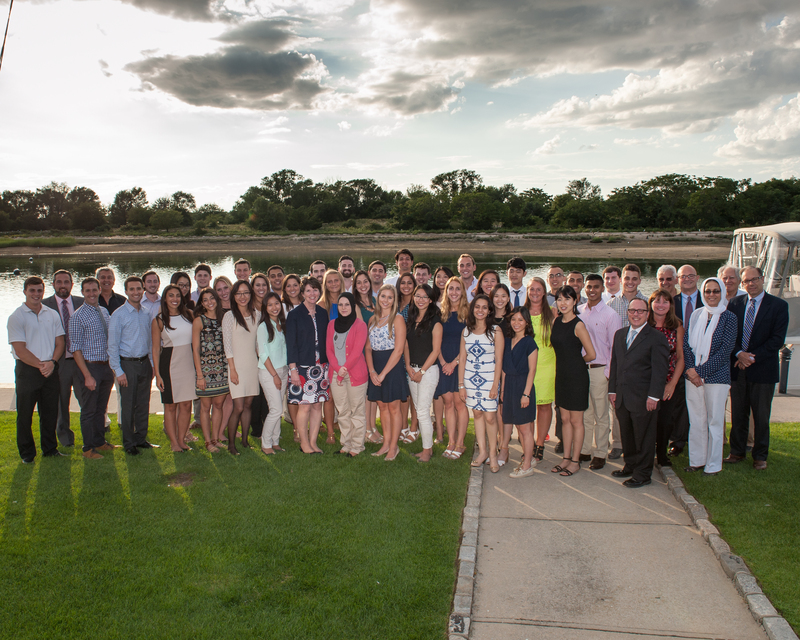 On August 12, the School of Dental Medicine hosted a welcome barbecue for the DDS Class of 2019 at the Stony Brook Yacht Club. Dean Mary Truhlar, and Associate Dean for Education, Dr. David Paquette, congratulated class members for their academic achievements and thanked the students for selecting Stony Brook for their dental education. Alumni Board Past President, Dr. Dimitrios Kilimitzoglou (Class of 2002), welcomed the class to the larger University community and the School’s legacy for excellence. The Class of 2019 includes 44 students (23 women and 21 men). The class was selected from an applicant pool of approximately 1,200. First year students participated in week and a half of orientation called, “Transition to Dental School.” Activities included sessions on team-based learning, academic integrity, professionalism, cultural competency and student organizations. First year courses began on August 24.